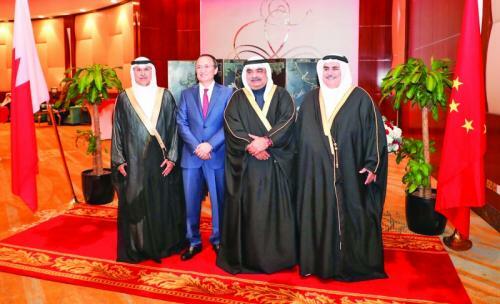 His Royal Highness Prince Salman bin Hamad Al Khalifa, Crown Prince, Deputy Supreme Commander and First Deputy Prime Minister, yesterday patronized the inauguration of the Central Gas Plant Three (CGP III) that coincides with the 40th anniversary of the establishment of Bahrain National Gas Company (BANAGAS), at its headquarters in Sakhir. Upon arrival, accompanied by HH Shaikh Mohamed bin Salman bin Hamad Al Khalifa, HRH the Crown Prince was received by the Minister of Oil, Shaikh Mohammed bin Khalifa bin Ahmed Al Khalifa, and a number of senior officials. During the ceremony, HRH the Crown Prince highlighted the Kingdom’s commitment to ensuring that the oil and gas sector continues to contribute to the Kingdom’s comprehensive development, led by His Majesty King Hamad. 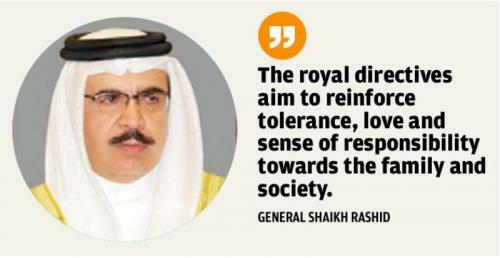 HRH the Crown Prince noted that based on Bahrain’s Economic Vision 2030, and its guiding principles of sustainability, fairness, and competitiveness, the Kingdom continues to ensure the long-term sustainability of its resources. The Crown Prince highlighted the significant achievements made in the Kingdom’s oil and gas sectors, such as the discovery of the largest oil and gas basin, which contributes to the advancement of the sector and the establishment of various strategic projects such as the CGP III. HRH the Crown Prince congratulated BANAGAS on its 40th anniversary, and on the success of operating the new CGP III project.